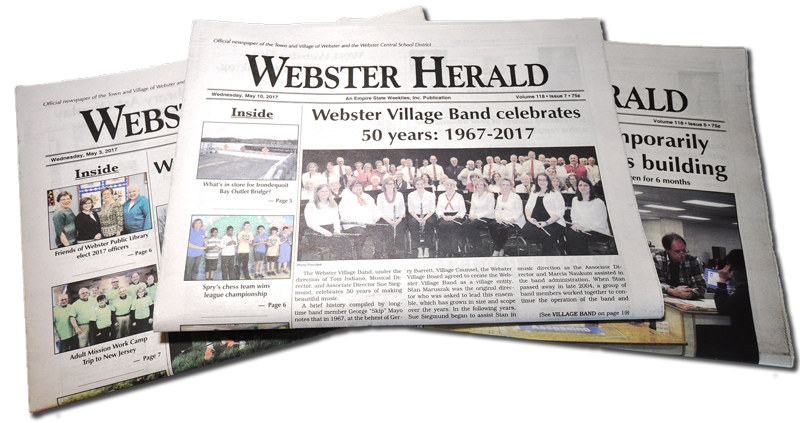 The Webster Herald is the official newspaper of the Town and Village of Webster and Webster Central School District. It has been bringing "Websterites" the latest news since 1899 and continues to be read and cherished by a large local audience. This endearing publication covers the latest goings on within Webster's local governments, student and faculty achievements, wedding announcements, local business successes, community events, and much more. The Webster Herald is a subscription-based, weekly publication delivered every Thursday. To subscribe, fill out the online subscription form, call our office at (585) 671-1533, or stop by our office at 46 North Avenue in the village. You can also purchase copies at both Webster Wegmans store locations or Hegedorns. 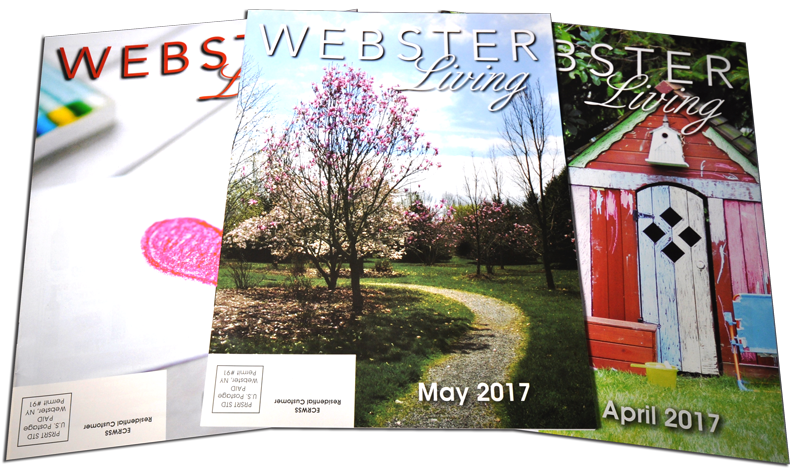 Webster Living is a complimentary, mass mailing magazine; every Webster resident receives a copy free of cost. Established in 2016, the magazine brings you compelling articles, photos and human interest stories of Webster people and organizations that make Webster "Where Life is Worth Living". The Webster Living magazine is distributed monthly. For information on how to submit or to learn more about advertising opportunities with the magazine, call us at (585) 671-1533 or stop by our office at 46 North Avenue in the village. Additional copies of the magazine are available at our office as well as various office and waiting room locations throughout Webster.